The Swiss Army Knife of iPhone iPad Management. Transfer music, videos, photos, books, etc from iPhone iPad to Mac and reversely. iTunes is an all-around program to manage and play multimedia contents like music, movies, and books. Sometimes, however, the Apple's program can be unsatisfactory. There are some tips and tricks you may not know to help get most out of iTunes, covering update, restore, music playback/management, iTunes errors, and more. If you are running up against any syncing error when using iTunes to sync iPhone iPad such as error code 54, songs greyed out, playlist disappearing, and more, follow the guide to get the error fixed. When using iTunes to sync iPhone to new Mac, your data will be probably erased. But you can get an alternative here to transfer music, photos, ringtones and more from iPhone to Mac without any data loss. 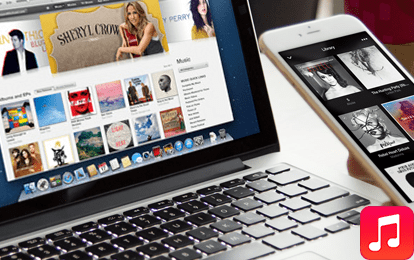 We share all the possible solutions to the iTunes music greyed out issues, covering iTunes alternative method. Follow our step-by-step guide to fix the problem. When syncing music with iTunes, it will duplicate songs. Here is why and how to fix the issue. Apple iPhone has vaulted to the top spot for its great camera, better integration of software and hardware, higher security, user friendliness, etc. However, nobody will spare from the constant iPhone errors, like data loss during syncing, iTunes not recognizing iPhone, fast battery drain, iPhone storage full problem, video format incompatibility, iOS (12) update and download problems, to name a few. Check the solutions below to solve the various iPhone errors, revolving around iOS update and restore, hardware issues, software bug, etc. iOS 12 update not showing up in Settings on iPhone? Follow this post to find the best solutions to iOS 12 update error. iPhone Won't Activate? Check the Most Effective Solution! iPhone couldn't be activated? How to fix this iPhone error? Read this iPhone troubleshooting guide to get around iPhone problems with greatest of ease. iPhone Software Update Server Could Not be Contacted? Solved Here! Again? iPhone Software Update Server failed to be contacted? Problem is easily solved with this effective approach. Data backup problems usually couple with iTunes and iCloud, from the horrifying data loss, paid cloud storage, intolerably lengthy backup, to sudden crashes. But you can keep control of your iPhone iPad data safely and privately, be it photos, music, videos, movies, ringtones, apps, or books. Save your important data to your Mac hard drive or NAS with ease. Follow the solution to one click and instantly backup music, movies, photos, iTunes purchases etc from iPhone to Mac without iTunes or iCloud. Here comes the solution to let you easily backup data on old iPhone and transfer them to iPhone 8/X/XS/XS Max without resetting or time consuming. If you run up against any problems when your iPhone won't recognize, detect, or show up in iTunes or computer, you can rely on the workaround and easily sync your data without error. If your iPhone is filled up with videos and other space-hogging media files, follow the post and free up space for your iPhone to fix iPhone storage full problem. iCloud is free to save your iPhone pictures online, though it's a little slow. However, there is iCloud storage full risk when uploading too many photos, especially the live and 4k photos to your 5GB free cloud service. You are even bothered by the agonizing one-by-one selection on your iDevice to delete photos. All the perplexes will be answered in this section below. Conveniently and fast store your favorite iPhone photos on your computer without iCloud, convert Apple's new photo format HEIC to JPG if needed, and save space by deleting the old pics from the camera roll just in one click and more. iCloud stuck or stopped uploading photos for hours and days? All fixes will solve the problem, no more waiting or timeless being stuck. Follow the most simple way to bulk sync and copy HDR/HDR live/Still images from old iPhone to new iPhone at your disposal, no iTunes or iCloud. [Updated!] Here are top 7 how-to guides for transferring 4K/Live photos from your iPhone to Mac, Macbook Air/Pro, iMac fast. Support the latest iPhone XS/XS Max/XR. iTunes allows you to sync music from your Mac to iPhone iPod, but transferring iPhone music to your computer is beyond iTunes' ability. If you are tired of the tons of restrictions and unknown bugs that cause sudden crashes and iTunes iPhone syncing errors, get help with the following tutorials to take full control of your music library, whether you want to transfer music from iPhone to computer, add music or make ringtone to iPhone iPod, delete undesired tracks, create your favorite melody as ringtone, or make personal playlist. Free your music from iTunes restriction and no more worry about erasing the current tracks when syncing your iPhone from computer. How to transfer songs from iPhone to Mac without iTunes? Here MacX MediaTrans can help you, letting you transfer music MP3 ringtones, voice memos from iPhone to Mac and manage iPhone music library just a click away. Tired of searching fixes as you can't add ringtone to iPhone 8 or iPhone XS? Now all the solutions are here to fix problems that songs won't sync to iPhone XS/X/8/7/6S/SE. Having problem transferring music from iPod to Mac without iTunes or jailbreak? Guide on how to transfer music from iPod to Mac (macOS Mojave) here offers an easy and fast way. Apple's iPhone is welcomed by cheers for its great recording feature with Camera. It even manages to capture your life highlights with videos in 4K UHD resolution. But these are such as space hog that your iPhone's space be will soon eaten up (generally, a 30-min 4K video takes up 5.1GB iPhone space, even with HEVC codec). But your concern will be addressed and you can find the tutorials to export iPhone videos to computer for backup without deleting your recordings or downloads, and even add non-iTunes movies to iPhone for viewing on the go without format incompatibility problem. If the video on iPhone is in the wrong orientation, you can follow the guide to rotate your video on iPhone correctly. This guide introduces 5 methods on how to import videos from iPhone (XS/X/8) to MacBook, iMac, etc. This post will help you out: screen goes black when playing iTunes movies in 4K/HD, iTunes won't play HD movies, cannot play iTunes movie purchases on Android, etc. Want to make a safe backup of your iBook library on your computer hard drive or transfer books or PDF files to your iPhone iPad? The following ebook-specific section will dwell on how to easily export Epub, PDF and Audio Books to computer, or transfer books from Mac to iPhone without following the complex iTunes process. To convert audiobook M4B to MP3 with VLC or iTunes, you can succeed if it is not protected. For DRM-ed MPB conversion, please download a professional M4B to MP3 converter. Here's a post on how to transfer audiobook to iPhone XS/X/8/7/6S/6 (Plus) and convert audiobook to MP3 or AAC format for listening on your iPhone iPod. Transferring PDF files to iPhone with iTunes can somehow be related to data loss, lengthy syncing, or file size limitation, but you won't get any roblem with MacX MediaTrans. Quality apps can be easily found and seem to appear early on iOS, such as Pokemon Go, PVZ, and more. You can also keep informed of the best iPhone apps (free or paid), in genres of music, game, movie, etc and keep up with the latest ones to make your iPhone a jack-of-all-trades. Just new to Mac OS X computers and wondering what apps to install? Look no further than our list of best Mac apps 2019, which covers everything you need do on Mac. 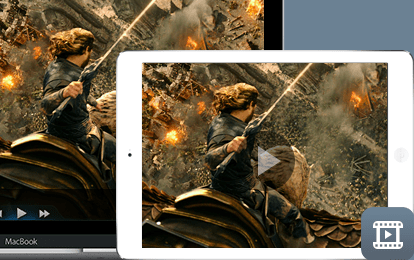 List of top 10 free movie apps for iPad Pro is shared for you to download and watch free movies on iPad Pro, whether they are in 1080p, 720p HD or 4K UHD. WhatsApp just stops working on your iPhone during video chat after iOS 11 update? Try these solutions to solve WhatsApp not working on iPhone XS/X/8/7/6s/6/5s problem. A great collection of the ultimate free ringtone apps for iPhone is shared for you to freely make and add ringtones for your iPhone.